MIDLAND, Mich. - Still struggling to come up with gift ideas for some people on your list? 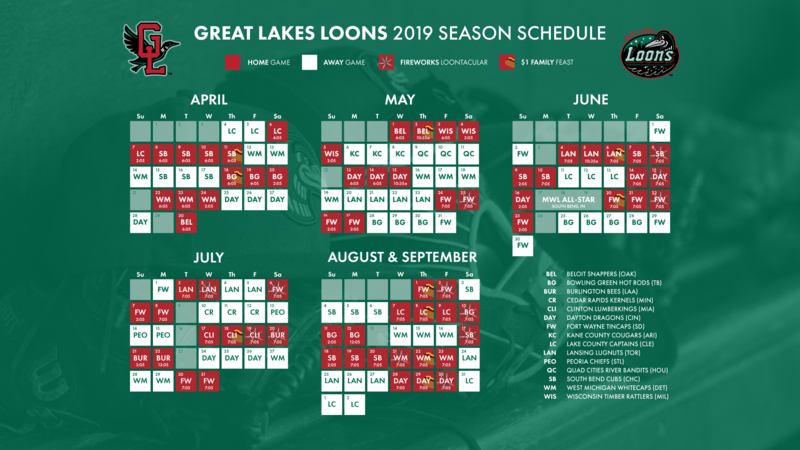 Look no further than the Great Lakes Loons Holiday Flex Plan! It fits perfectly in a stocking, or wrap it up in an oversized box under the tree! The "Flex Plan" allows you to choose any five games you want in a mini-plan. It can be all Saturday nights in June & July with fireworks, or maybe $1 Family Feast Nights are a better option. There's no restriction on which games you can choose. Opening Day, Memorial Day, Military Appreciation Night on July 3rd, you can select any combination of five games. 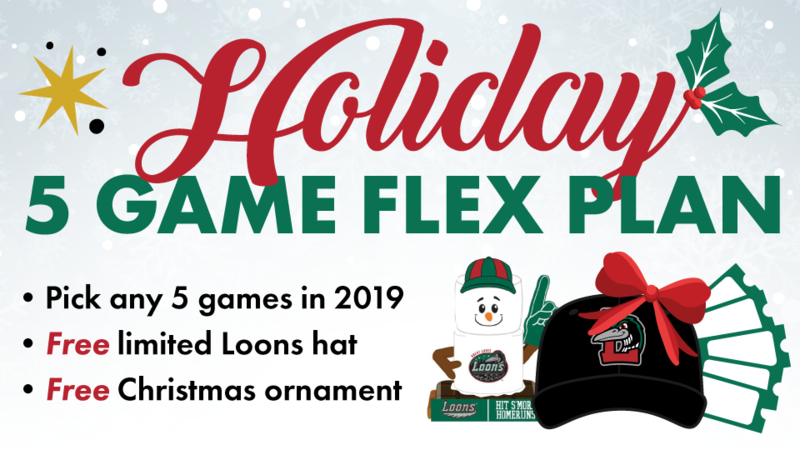 From now until the office closes for the holidays on Friday, Dec. 21 at 5 p.m., when you purchase a Holiday Flex Plan you'll receive a free holiday ornament and a limited-edition Loons hat with your $50 purchase. You must pick up both items in person at the ballpark. There's a multitude of ways you can purchase this year's holiday offering. The Loons will be hosting a holiday party inside the Loon Loft team store on Friday, Dec. 14 from 3-6 p.m. "Lou E's Christmas Jamboree" will help keep the holiday vibes rolling with Santa's big day a little over a week away. Don't miss your chance to ring in 2019 at Dow Diamond with "Midnight on Main" on Monday, December 31. Doors open at 8 p.m.
General admission tickets are $25 and will be sold right until midnight on New Year's Eve. VIP tickets are $125 each and include drinks, strolling dinner, hors d'oeuvres, and access to the VIP area, sponsored by Downtown Midland, in the Great Lakes Reserve. VIP tickets will be sold until 2 p.m. on December 31. All tickets are on sale now at the Dow Diamond box office and online at Loons.com. Guests must be 21 years of age or older.